One of the biggest struggles in being a fitness trainer is trying to keep up with your Continuing Education Units. A CEU is a unit of credit equal to 10 hours of participation in an accredited program. Most training certifications require you to reach a certain amount of CEUs each year. It sounds great on the surface. Who wouldn’t want to further their education on a yearly basis to provide the best possible service to their clients? But often times the CEUs offer little value, or cost you a significant amount of money. 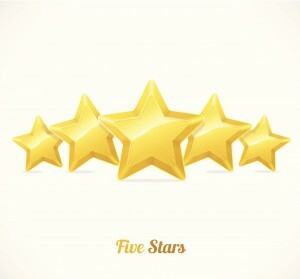 In this article, you will discover the top 5 ways to earn CEUs. All of these are viable options — but only one option stands above all others. Most accredited certification programs offer CEUs for watching online webinars. There are a number of different webinars on business strategy, exercise theory, and a host of other topics. 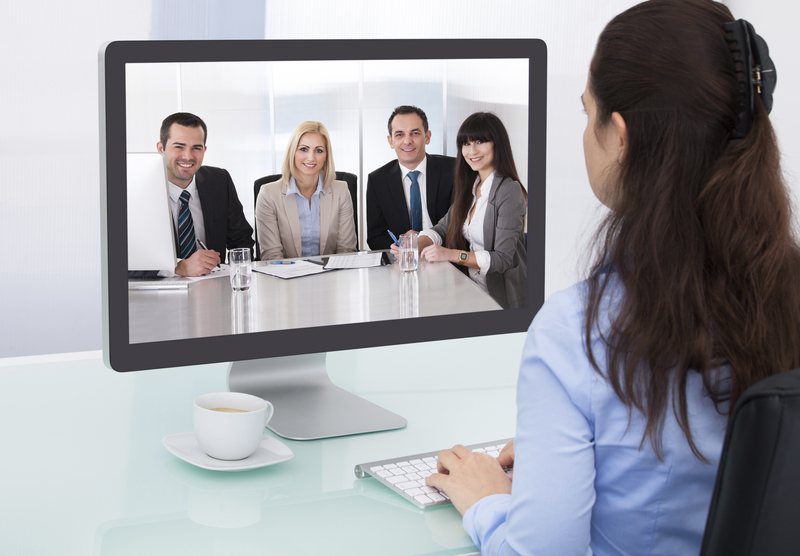 Webinars have been around for years and offer a lot of great benefits. However, they also have a number of drawbacks that make them a less attractive option. Most webinars are free. Certifications are not cheap and anytime you can earn CEUs without paying, it’s very beneficial. You can watch webinars at your own convenience. You aren’t required to be somewhere at a specific time. You get to choose which webinar you’d like to watch. There will be certain topics you’ll find more beneficial than others, and you have that authority to pick and choose. Webinars do not offer many CEU points — on average, 0.1 CEU credits are earned by watching an entire webinar. That’s not really worth your time or effort. Although most webinars are free, they usually require you to take a quiz afterwards. Guess who’s paying for that quiz? You! Let’s be honest: webinars are extremely boring. You’ll get little to no value watching the webinars as they often put you to sleep. Online courses are another good option for earning CEUs. Much like webinars, there are several different courses from which you can choose. The online courses are sponsored by the accredited program and will align nicely with what you have already learned. However, like the webinars there are a few drawbacks to the online courses. You can take the courses at your own convenience. Most of these online courses can be done at anytime. You’ve got the power to tackle the courses as you please. You can always refer back to the course material. Because they’re online, they are readily available for your use and reference, and can be a great resource. Online courses offer a wide variety of topics and are continually being updated. Online courses lack the hands-on training aspect. One of the most important aspects of continuing education is surrounding yourself with others in your area of study and gaining hands-on experience. Much of the online material you’ll go through is repetitive of what you’ve already learned in the actual certification. It’s packaged as brand new material, but that’s often just a marketing ploy. You are required to take a test at the end — and it’s not free. You are responsible for paying the extra fees associated with the quiz and test. One of the best things you can do in your professional and personal life is to constantly surround yourself with positive, like-minded people. You should always strive to be around people that are smarter, wealthier, and more successful than you. Conferences are a great platform that can help with that. They’re a great way to build relationships and meet others in your field. Conferences are on this list mainly for that reason — they build relationships. Conferences offer a great way to meet other professionals in your industry. 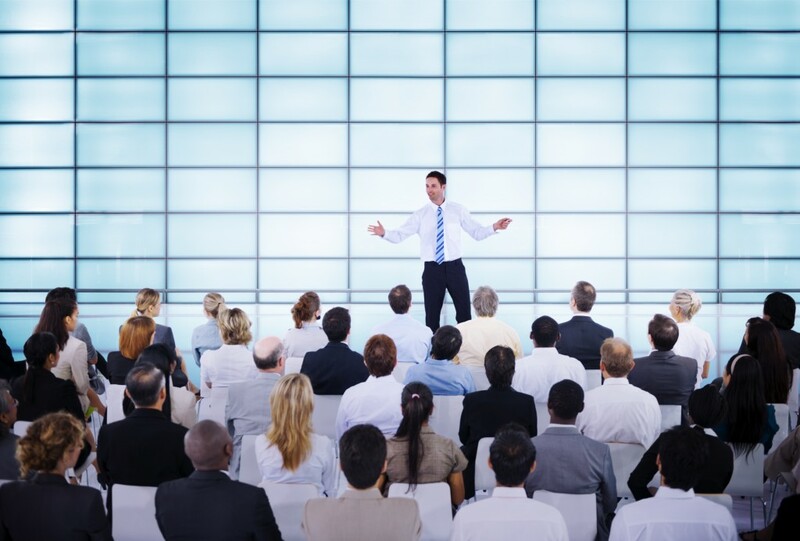 Conferences are filled with other resourceful and knowledgeable people who are eager to share their expertise. Conferences can be the catalyst for business partnerships. Many business deals started when parties came together and met at a conference. It can be the start of something special. Conferences can be great motivation boosters. Attending conferences with hundreds of other fitness enthusiasts can pump you up and give you some extra encouragement to take massive action. Conferences can be a big drag. Check-in usually starts on Thursday and conferences often take place on Friday and Saturday, with Sunday budgeted for travel. That means at least 4 days of travel where you will be away from work and family. Many conferences can be a waste of time. If you’re strictly attending the conference for CEUs there’s a strong chance you don’t really want to be there. Perhaps it’s a conference that you’re not interested in but are forced to attend for the credits. That’s not going to be very beneficial to you. Attending conferences can be very expensive. By the time you pay for travel, admission, and other associated fees, you’re looking at hundreds (if not thousands) of dollars. All for a couple CEUs. The webinars and online courses offer convenience. That’s always a plus in today’s fast paced and busy society. But the downside to that is missing out on the hands-on training and education that live events provide. That’s why live workshops are higher on this list. Workshops, however, provide you with hands-on training that is much more practical in your every day profession. You’ll be able to ask questions immediately and get instant feedback. This is why workshops are another good option. You can build relationships with colleagues who are attending the workshop. Building relationships is vital in this industry, and workshops offer that component. Many trainer certifications are taken online. You don’t get to experience the practical component of the program. Attending a live workshop gives you this opportunity that can further your education and knowledge base. You get instant feedback. Any questions you have will be answered on the spot and you’ll have constant communication. The workshops are usually unorganized. Speaking from experience, they never start on time, lack a set schedule, and tend to be way too long and drawn out. Workshops are not cheap. Now multiply that by 3 or 4 (which you’ll need to earn a substantial amount of CEU’s) and you’re looking at some serious costs. Most of the time there are at least 50 people attending these workshops. That’s the low side. If you’ve got double that you really aren’t getting that individualized attention you are probably seeking. Imagine helping hundreds (even thousands) of people lose weight and transform their lives each week. How would you feel being in a room of 20+ people smiling, giving each other high fives and feeding off the energy of music blasting and people yelling with excitement? How great would it feel to help your community lose 10,000 lbs. in the next 5 years through your transformation coaching? Oh, and by the way, you get to earn CEUs for this amazing experience! There’s no better way to earn CEUs than attending the TT Transformation Certification. Not only are you earning credits, but you’re also earning resources that will forever change your personal and professional life. The payoff to becoming a TT Transformation Coach is unprecedented. Being able to help hundreds and thousands of folks on a weekly basis allows you to experience financial freedom and help your family live a more fruitful life. You are a hero to so many people. The word hero gets thrown around a lot these days, but it’s the perfect description for this part-time job. You are helping save lives and giving people a new opportunity at life. You get to set your own hours. Your family will always come first. Being a TT Transformation Coach awards you this privilege. Many of our TT Coaches like Molly, Mike, Shawn, and Leslie are able to balance their family life with their booming Transformation coaching business. It’s extremely affordable. The benefits you’ll receive from becoming a TT Coach should cost you thousands of dollars. But you won’t pay anywhere near that price. Our TT Transformation Coaching Program is not perfect. We are constantly improving it and making sure we provide the best value possible. 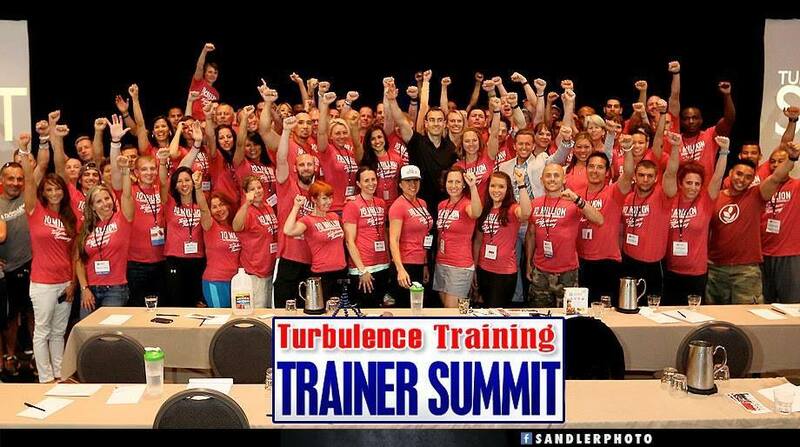 The TT Transformation Coaching Program is the ultimate solution to earning CEUs. It’s affordable, and will give you all of the resources you need to take your career to an entirely different level. You’ll quickly learn that the credits you get from this program are nowhere near the most important component of becoming a TT Coach. The freedom, the chance to make your community a better place, and the opportunity to earn a significant salary while making an impact on others is a byproduct of earning CEUs from the program. 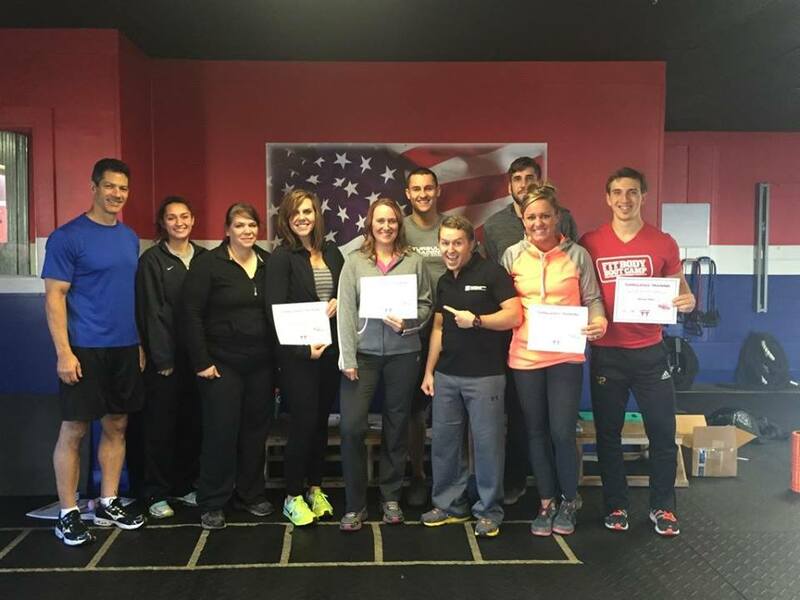 Many fitness professionals just like you came to our program to earn CEUs. But what they didn’t expect was to have a life-changing event that would forever shape their career. There are many ways to earn CEUs, but if you’re serious about being the leading fitness expert in your community, becoming a TT Transformation Coach is your BEST option. Daniel Woodrum is the Director of Turbulence Training and co-owns two South Carolina Fit Body Boot Camps with Early to Rise Editor Craig Ballantyne. Daniel lives in Charleston, S.C. with his wife, Brittney, and together they are on a mission to help the town of Charleston lose 10,000 lbs. by the year 2020.